I am an ABAP consultant with over 9 years of SAP ABAP experience. I am currently working as an SAP ABAP and SAP SLT consultant since 1.5 years on a Central Finance Implementation project. Recently, I came across a scenario where some of the documents were accidentally deleted from the quality target environment, I then had to figure out a way to load the specific documents only, without impacting any other existing documents. I am writing this blog to detail out the steps that need to be followed if the same situation occurs while using SLT for your projects. 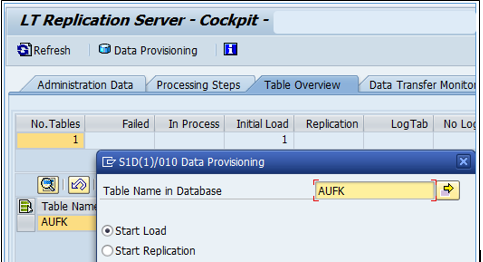 In this blog I am going to discuss the steps to be followed to load such documents using SLT. 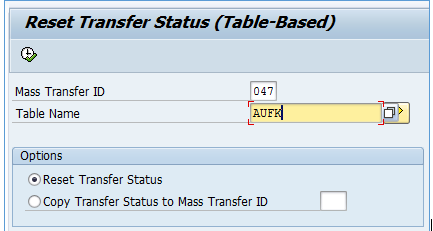 I will take an example of loading an internal order, stored in the table AUFK. 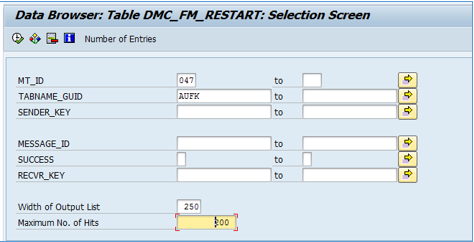 Every record that gets replicated via SLT, gets logged into the table DMC_FM_RESTART. If the same record is re-loaded SLT will not load the document. 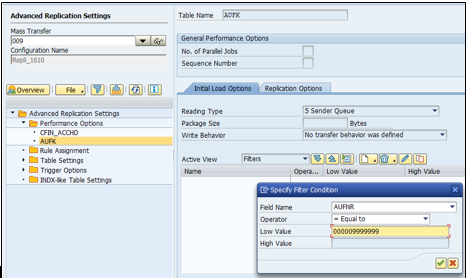 Double click on the table, and select “Sender Queue” from the reading type drop down. This will enable the filter screen. Specify the required information, and click on save. Make sure to add the required leading zeroes, do not add the single quotes manually, system automatically adds it. If you add manually, it will become a double quote and system will not understand it, resulting in a dump. Monitor the progress in “Data Transfer Monitor”, once the loaded flag is set, check the target system for the loaded IO. Similar steps can be used for any other table. I am planning to write more blogs related to SLT, on specific issues/scenarios that I faced during the project implementation, which are not available in standard SAP documentations or are difficult to find/search. In case of any queries, please get back to me.